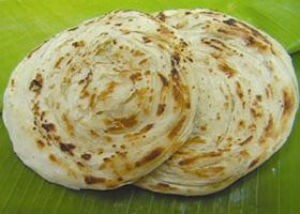 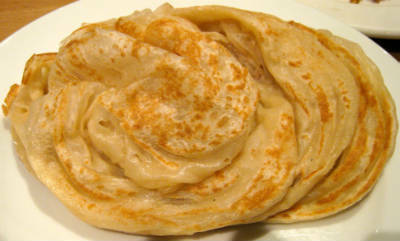 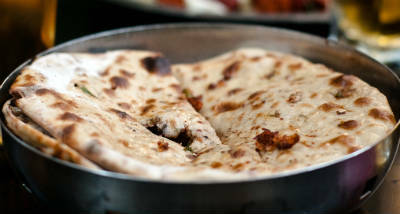 A paratha (or parantha) is a flatbread that originated in the indian subcontinent. 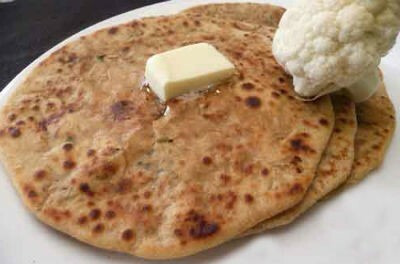 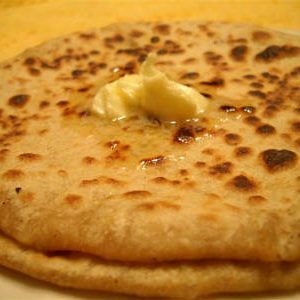 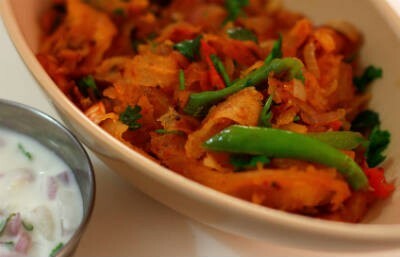 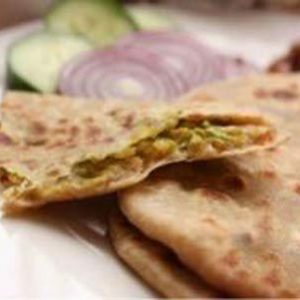 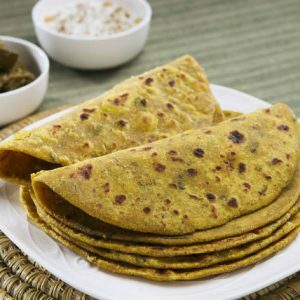 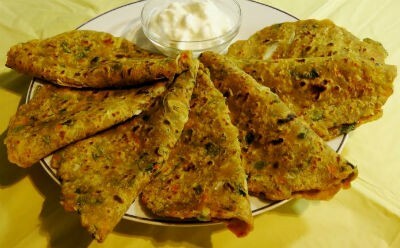 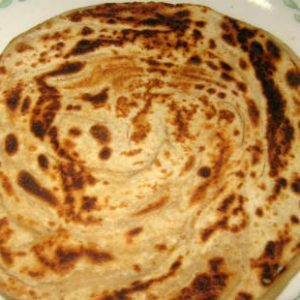 It is made with whole-wheat flour, pan fried in ghee or cooking oil, and sometimes stuffed with vegetables, such as boiled potatoes, radishes or cauliflower and/or paneer. 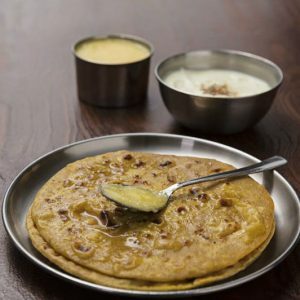 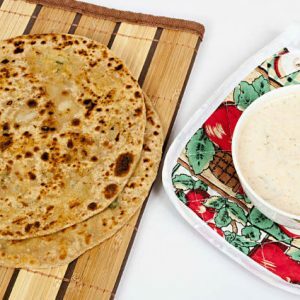 A paratha (especially a stuffed one) can be eaten simply with a blob of butter spread on top but it is best served with pickles and yoghurt, or thick spicy curries of meat and vegetables. 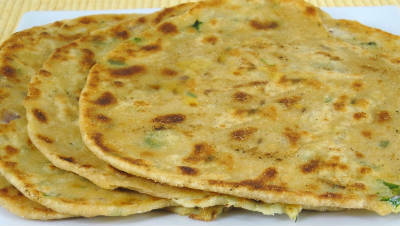 We have 80 Paratha recipes in this category. 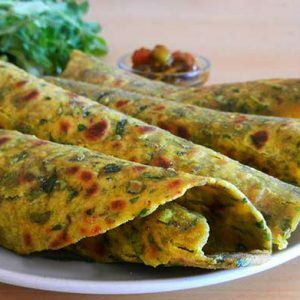 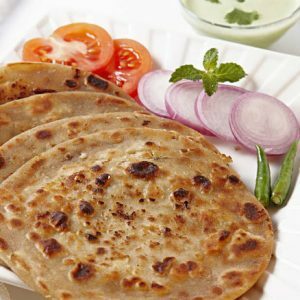 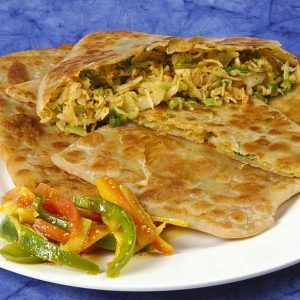 Here are the most popular Paratha recipes from Awesome Cuisine ever.